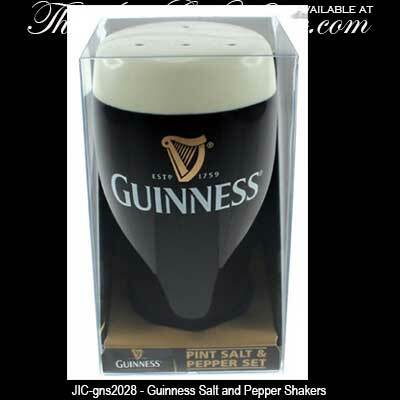 Irish salt and pepper shakers range from formal sets to fanciful designs with shamrocks and leprechauns. The Irish Gift House offersIrish salt and pepper shakers from Belleek and Galway Crystal along with Mullingar Pewter and Guinness. 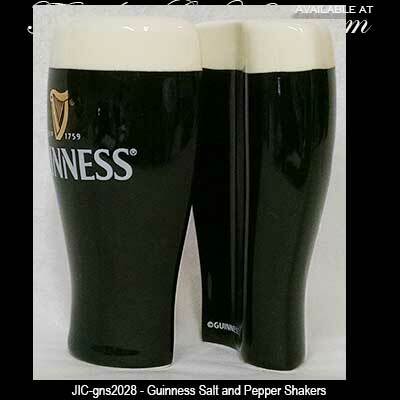 These Irish salt and pepper sets are suitable for fine dining along with St. Patrick's Day celebrations. These Irish salt and pepper shakers feature the Claddagh symbol embosses on fine pewter. 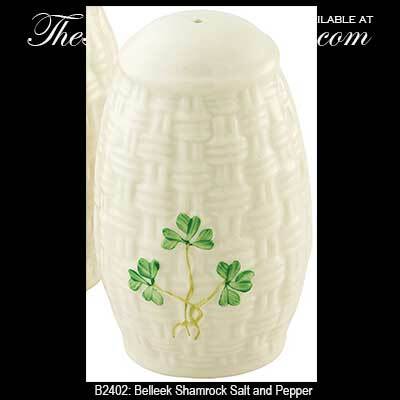 These Irish salt and pepper shakers feature shamrocks along with embossed fine china. 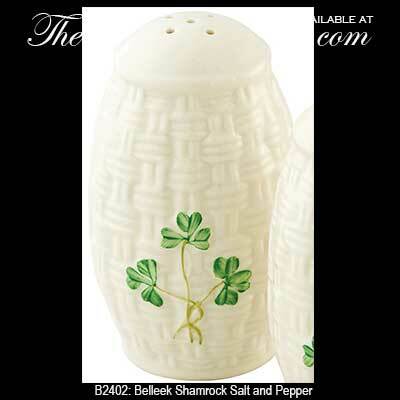 These Irish salt and pepper shakers feature shamrocks along with a Celtic motif. This Irish salt and pepper shaker set features a leprechaun along with a pot of gold. These colorful Irish salt and pepper shakers feature cupcake shaped leprechaun and pot of gold. These cute Irish salt and pepper shakers are shamrock shaped. Complement your salt and pepper shaker selection with assortments from our Irish dinnerware collection or add some Irish placemats to your table just for fun. The Irish Gift House has everything you need for formal dinner parties, such as Belleek dinnerware and Galway Crystal Longford glasses, along with gifts for the kitchen for daily use, such as Irish coffee mugs and Irish tea towels.